I didn’t know a lot about Battleborn going into its release, other than it was a colorful first person shooter with a MOBA mode. The game’s prologue didn’t offer a promising start. The first time you play the game you’re forced into watching some a sort of hyper energetic anime sequence that is unskippable and entirely boring. Some people certainly seemed to love the opening sequence, but I was not into it at all. I had to put the controller down and leave the room until it was finished. Once you get to the playable portion of the prologue things don’t get much better. Sure the game needs to introduce you to the mechanics, but I found the opening story mission to be boring and incredibly long. I just wanted to jump into the MOBA mode (Incursion). Instead I had to play through an unappealing mission that serves little purpose. Once I got past all the roadblocks and finally launched into the Incursion mode I started to begin regretting purchasing Battleborn. My original plan was to try to rent it from Redbox, however it wasn’t in stock anywhere nearby on the morning of its launch. I figured Battleborn might make for a nice ‘pick up and play’ game where I could play a match anytime I find myself with nothing better to do. I would have been better served to continue to play Rocket League during those times. The idea of the Incursion mode seemed like it should be enjoyable, but there are quite a few things that stop it from being fun. First of all, I have yet to play a game in which anyone on my team was using a microphone. The Xbox One has already proven to be a place where very little communication takes place, especially when compared to the days of the 360, but in games where communication and planning is a necessity the lack of players using mics ruins the experience. So far it seems like the general populace playing Battleborn is just running around trying to shoot at anything that moves without any particular strategy. This isn’t how a MOBA should be played, and every game of Incursion I’ve played so far has been a landslide one way or the other. No one wants to wait for minions to make a push, everyone just seems to congregate around the middle trying to shoot everything. 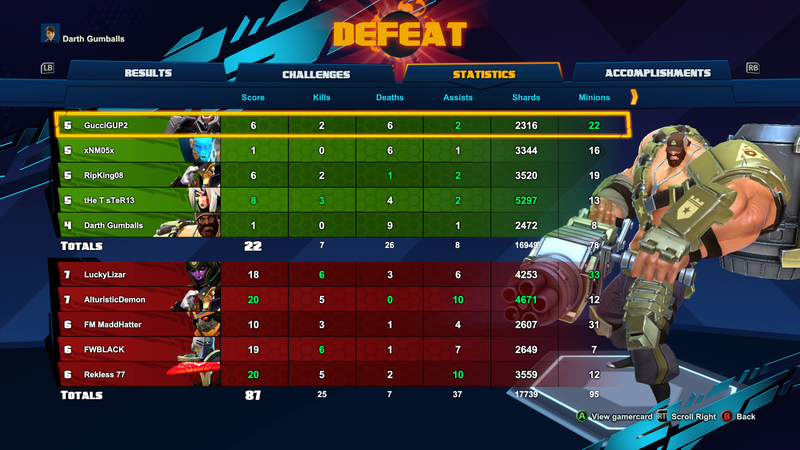 Now I can’t sit here and say I’ve done particularly well in Battleborn. I’ve died…. a lot. 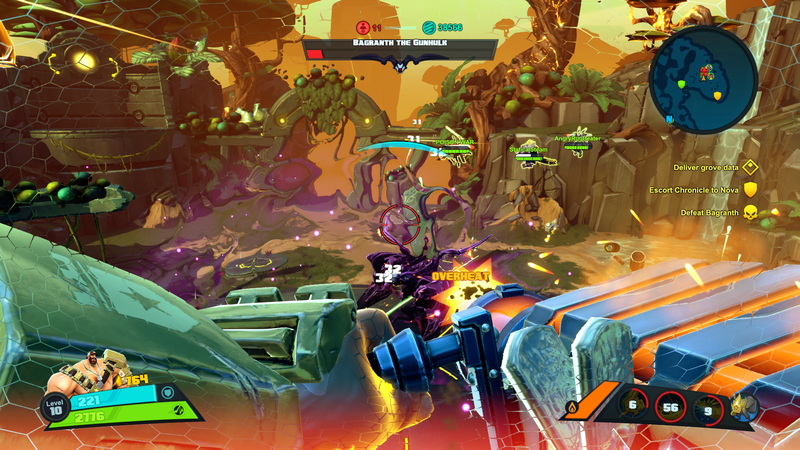 Another problem that I have with Battleborn is that it feels like there’s too much going on at once. There’s so much flash and color on the screen half the time I can’t figure out what I’m shooting at. And when I am trying to shoot at an enemy player, I can’t really tell if my attacks are effective. Sure there are numbers all over the screen (like in Borderlands), however I can never tell if my abilities are even hitting the targets I’m trying to hit. 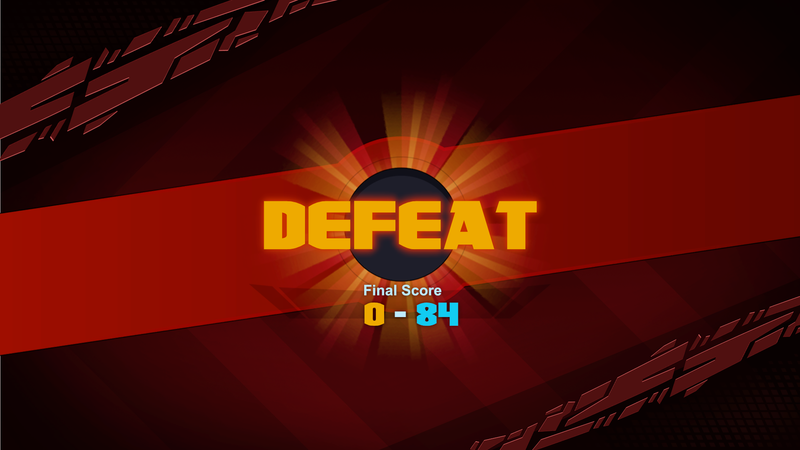 I’ve found myself frustrated more often than I’ve had any fun with Battleborn, and since no one else is communicating I just end up joining everyone in the middle repeatedly dying. 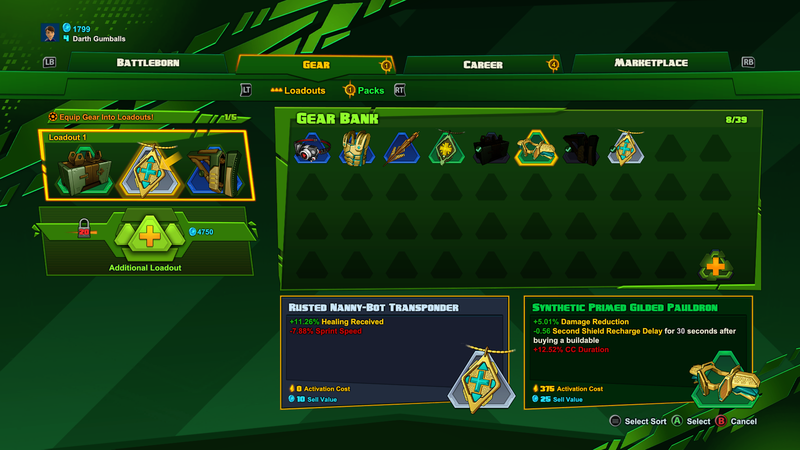 The story missions in Battleborn aren’t anymore enjoyable than the Incursion mode. You can matchmake with four other players, but I have yet to encounter anyone with a mic in those missions either. Everyone just runs around doing their own thing, and it just feels chaotic. 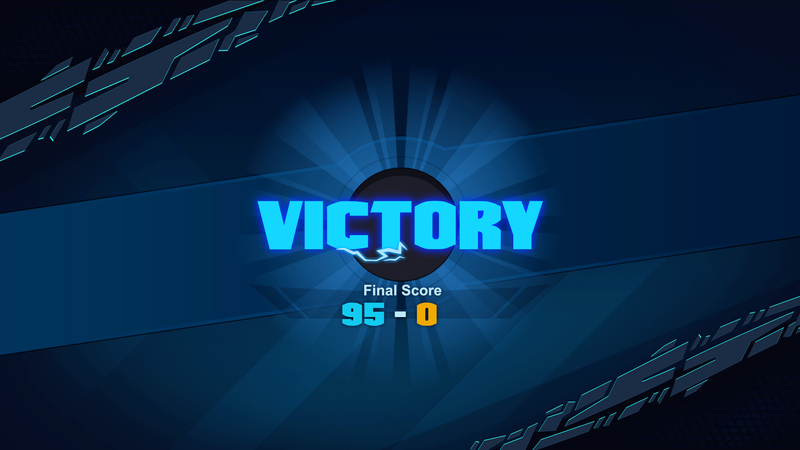 So far I haven’t encountered any particularly difficult missions, but shooting at everything that moves with no real purpose alongside four other players isn’t exactly entertaining. Borderlands at least gave you a purpose, with its interesting loot drops and sense of progress. Battleborn hasn’t given me any sense of accomplishment or desire to do more. You can get gear as you accomplish things in the game, but I honestly haven’t found any of the gear I’ve received so far to make any sort of difference in game. If you’ve been on the fence on whether to buy Battleborn, I’d have to recommend passing on it for now. Unless you have a group of players you intend to play with, I don’t think very many people will find much to enjoy in Battleborn. A team based game in which no one cooperates is makes every match nothing more than a coin flip. I’m not having fun, and I probably won’t play much longer. Too bad I bought the digital version and can’t recoup any of my $60.